Whaleshark Spoted on The Site of The Pyramids in Amed ! A whaleshark has been spoted on the site of the pyramids in Amed a couples of days ago ! Lucky are Andrew and Jane, two of our guest taking several days of diving with Two Fish Amed, who witness, under the guidance of our divemaster Bayu, a beautifull whaleshark swimming off the coast of Amed. If from time to time whalesharks are reported on the area it’s not that usual that such reports occur. First everybody thought it was a joke to tease the fellow divers present onboard but then evidence has been given, the pictures proved they actually saw a three/four meters long whaleshark… Well we really never know when and what our ocean has to offer ! For this last week we want to congratulate Alejandro and Alexia for completing both Open Water and Advanced Open Water courses during their honey moon in Bali! They left us with a new passion and a whole world to explore, the underwater one! Otherwise this week in Amed we have an IDC (Instructor Development Course) which just started. Three candidates are under the supervision of our Course director Tin, assisted by IDC Staff Unieng who hopes to soon become one of only a few Indonesian women Course Directors! We wish these guys a lot of fun and succes through this experience !  Join and experience more amazing underwater life with Two Fish Divers. You shouldn’t tell anybody. Some assholes will try to ride it. I mean really? Trying to drum up business? Is it that slow over there?